Sunday night’s 54th ACM Awards was host to some absolutely incredible moments including three George Strait performances and medleys from two different artists. 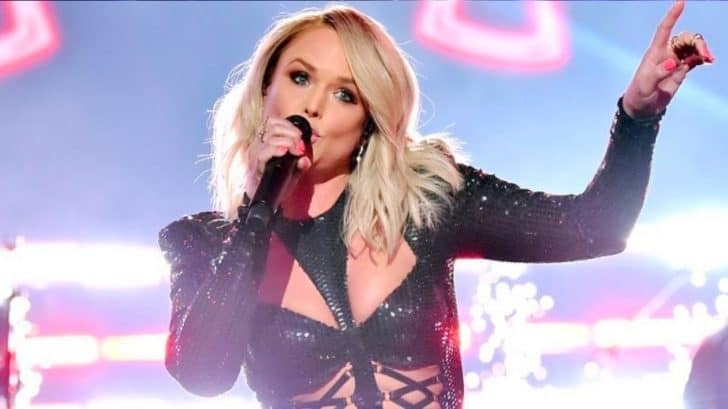 Jason Aldean was named the ACM Artist of the Decade, so he played some of his biggest hits, but another person who sang several of her hits was Miranda Lambert. In a sneak peek video posted to the ACM Awards’ official Instagram page before the show started, Lambert was seen rehearsing “Mama’s Broken Heart,” and said, “I’m singing a medley of my own songs from the last over a decade,” before expressing her excitement to perform with Strait. "We're celebrating country music as a family. Because that's what we are" Watch @mirandalambert's #ACMawards rehearsal! She got everyone on their feet, jamming out to her hits – and we don’t blame them. We were rocking out to them, too! It was a great choice to close with “Little Red Wagon,” seeing as it’s so fun to sing along to, and Lambert really ups the attitude when performing it. She chose to change a couple of the lyrics to represent her life now, rather than sing it as she recorded it for her Platinum album back in 2014. For her recording, Lambert sang, “You only love me for my big sunglasses/And my Tony Lomas/I live in Oklahoma,” because at the time, she was residing in Oklahoma with then-husband Blake Shelton. Since their 2015 divorce, Lambert moved back to her hometown of Lindale, Texas, and then to Nashville, Tennessee. For some time now, she has been singing, “I got the hell out of Oklahoma,” instead of her original lyric. Because that’s how she’s been singing it for over a year, Lambert performed it that way on the ACMs stage, which caused fans on Twitter to freak out a bit.